The microphones of camcorders and also external microphones are particulary touchy against wind low frequency noise, which occurs especially with wind noises. Wind noises contain very large portions of these low frequencies. With the use of our Windshield, Windscreens those wind noises can be nearly completly eliminated, without effecting the rest of the frequency spectrum. Our Windshield, Windscreens are available in different sizes fit for your camcorder or microphone model. Designed in Germany. 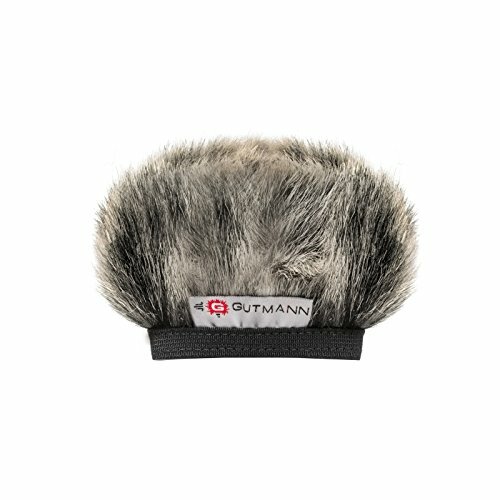 This Gutmann Microphone Windshield, Windscreen is specially designed to reduce wind noise when recording in outdoor or adverse environmental conditions. It can filter the noise to get a clear record. The fibers have different lengths up to 20mm. Manufactured from high quality sound transparent fur for professional film and video applications. Minimizes wind noise when recording in high wind conditions and ideal for recording interview or broadcast in any weather. These are German brand products which are Handmade in Germany and you will get three years warranty. Worldwide insured shipping included and no duty customs. Products are shipped quickly. If you have any questions about this product by Gutmann, contact us by completing and submitting the form below. If you are looking for a specif part number, please include it with your message.